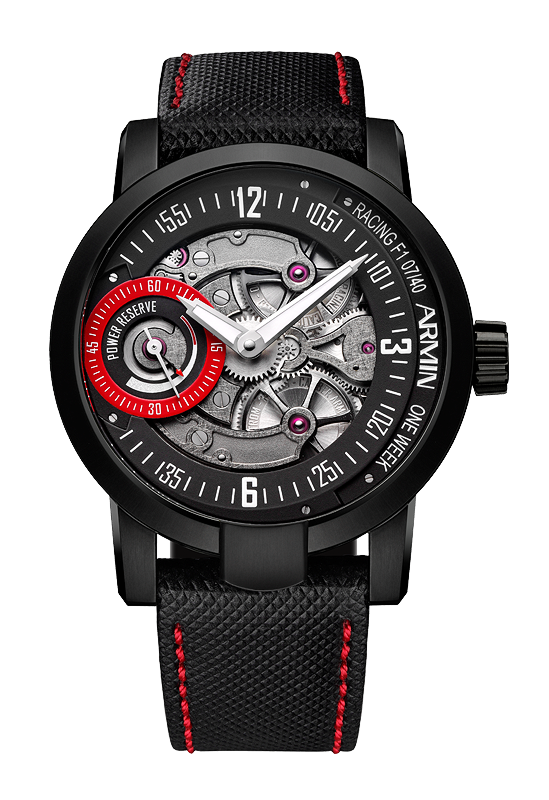 News: Armin Strom Continues Partnership with F1 Team Marussia. It's Been Four Consecutive Years Now. We have some great news for all our readers that our Formula One fans —and we know it's most of you. Armin Strom, is pleased to announce the continuation of its collaboration with the Marussia F1 Team. Armin Strom will be acting as the official timing partner for the Anglo-Russian Formula 1 Team for a fourth consecutive season. With the dramatic new regulations introduced for the 2014 season as we shared them here, will see some important technological developments potentially upsetting the balance of power at the front of the grid. Equipped with a Scuderia Ferrari powertrain, the Marussia F1 Team hope to improve on their 2013 achievement of the all-important 10th position in the constructors’ championship. With Max Chilton, friend and ambassador of the Biel manufacturer, being retained as a race driver after an impressive debut season, Armin Strom is proud to have Max as its brand ambassador within the paddock. The exceptionally strong relationship between the Team and the Manufacturer has developed over the past seasons, and this has led to Armin Strom creating watches for Baselworld 2014 that incorporate the precision and composites used to build the Marussia F1 Team MR03. 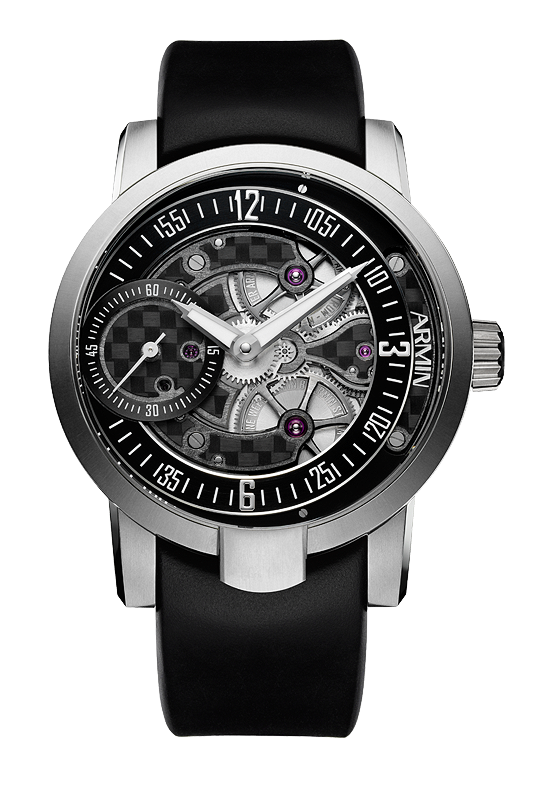 Here are the images of the five watches that currently conform Armin Strom's Racing collection and once we are reporting live from Baselworld 2014 we will bring you images of the new timepieces to be unveiled there. 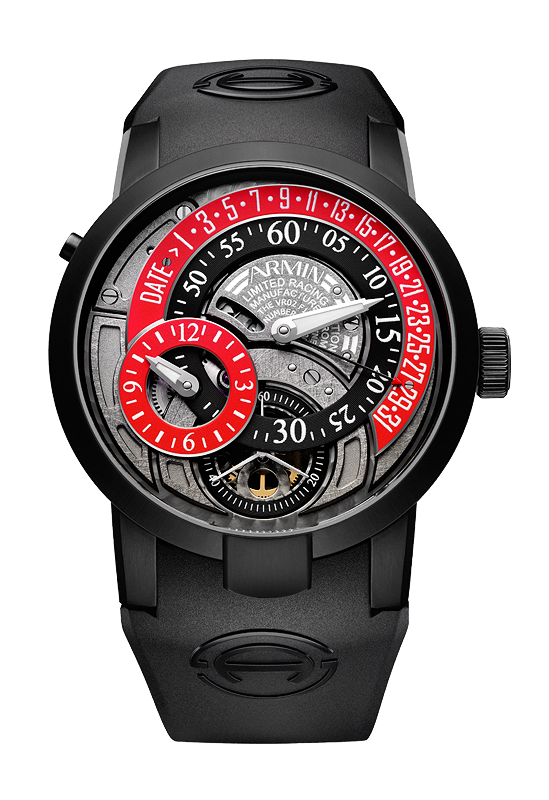 For more info on Team Marussia click here and for Armin Strom here. Posted on March 13, 2014 by Editor & Publisher and filed under News, Armin Strom and tagged Armin Strom Racing Collection Armin Strom Armin Strom Team Marussia F1.